Mitsubishi Motors has been a trailblazer in the automotive industry for over 100 years. Based on market data compiled by the Motor Intelligence research group, Mitsubishi has been the fastest-growing Asian automotive brand for two years. But what makes Mitsubishi vehicles so great, and where can you purchase one? Continue reading to learn more about where you can find used Mitsubishi vehicles in Calgary, AB. Many drivers know the Mitsubishi brand because of their popular crossover SUVs, including the Outlander, Outlander Sport and Eclipse Cross. The 2019 Outlander comes standard with three rows of seating and numerous interior amenities, while the 2019 Eclipse Cross comes with a powerful, turbocharged engine and several standard technology features. 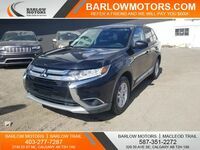 Where Can I Buy a Used Mitsubishi in Calgary? Mitsubishi’s other vehicles are also worth highlighting. The 2019 Mitsubishi Mirage G4 is a subcompact sedan that’s available for a starting MSRP of $14,795. This sedan also boasts impressive fuel economy ratings. In combined city/highway driving conditions, the 2019 Mirage G4 receives 37 miles per gallon. Drivers who prefer hatchbacks should consider purchasing a 2019 Mitsubishi Mirage. With a starting MSRP of $13,795, this hatchback is also quite affordable. The 2019 Mirage is offered in five trim levels and utilizes a three-cylinder, 1.2-liter engine that receives 36 miles per gallon in the city and 43 miles per gallon on the highway. Whatever you’re looking for in your next vehicle, Barlow Motors can help. 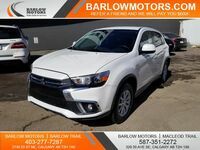 Both Barlow Motors’ Barlow Trail and Macleod Trial locations frequently have Mitsubishi vehicles in stock. Barlow Motors also offers in-house financing options for drivers who are self-employed, are experiencing bankruptcy or have poor credit. Mitsubishi’s current model lineup includes: 2019 Outlander PHEV, 2019 Outlander, 2019 Mirage G4, 2019 Eclipse Cross, 2019 Mirage and 2019 Outlander Sport.